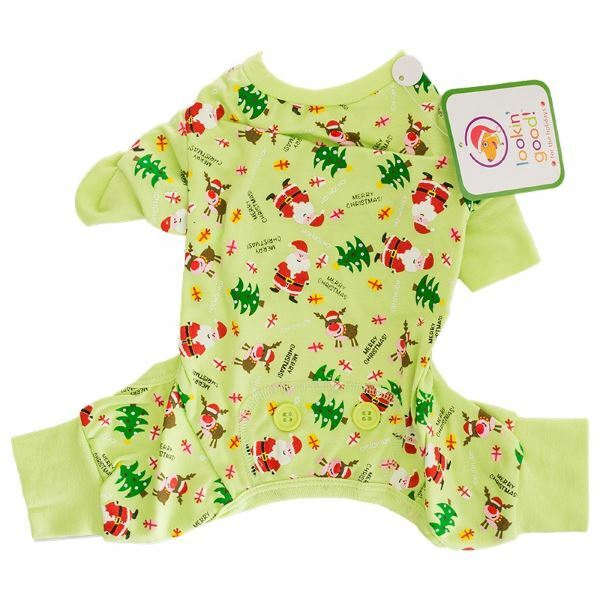 These Merry Christmas Dog Pajamas are bright green color with holiday patterns throughout. 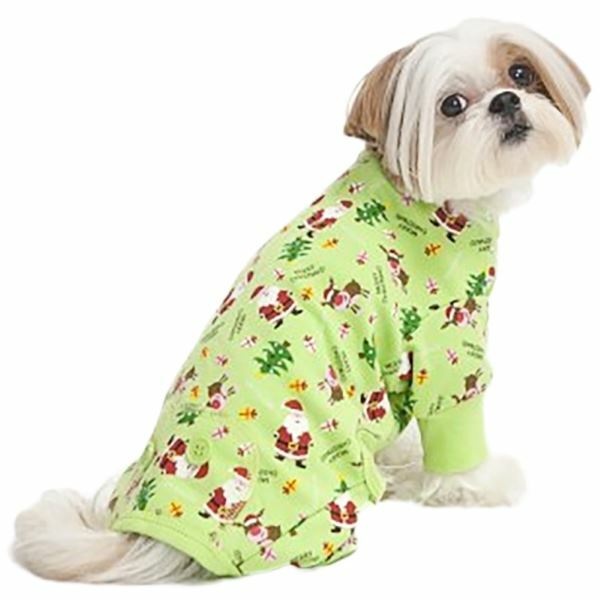 The Merry Christmas Dog Pajamas make a fun, adorable way to highlight your dog's personality! Winter time is the best for cuddling, and with Lookin' Good's Merry Christmas Dog Pajamas your pet will be doing plenty of it! 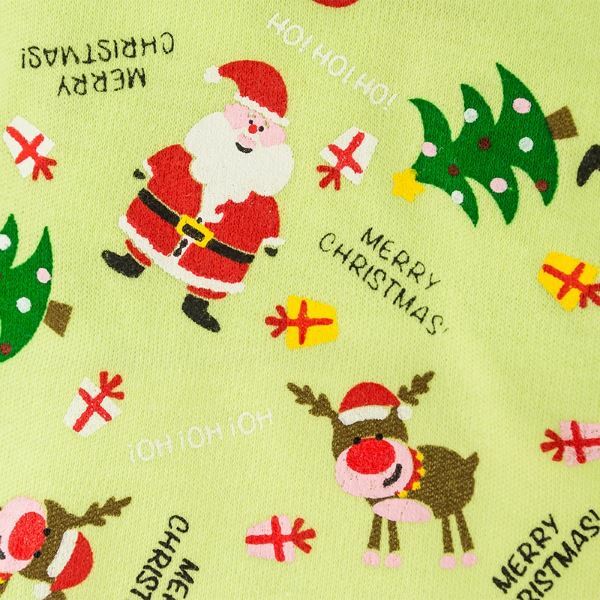 These soft, adorable PJs are made of a super comfy poly/cotton blend, with cute Santa, reindeer and Christmas tree patterns to get your furry friend in the holiday spirit!